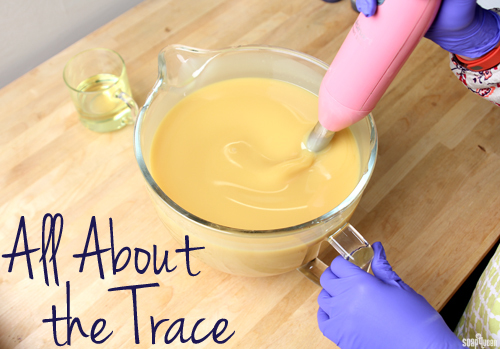 For more soapy tricks and information, check out the All About the Trace post (talk about an earworm!). Trace is the point in the soap making process when oils and lye water have emulsified. Various factors such as temperature, recipe and stirring method can affect trace; click through to learn more and see examples of thin, medium and thick trace. 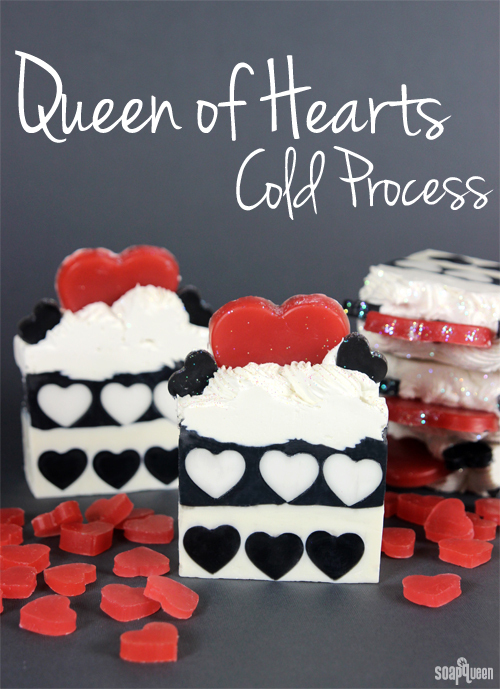 The Queen of Hearts Cold Process Soap uses medium trace to support adorable black and white melt and pour heart embeds. It also uses thick trace cold process frosting to great a fluffy white top decorated with red and black hearts. Scented with LoveSpell and Baby Rose fragrance oils and topped with sparkly iridescent glitter, this soap will make a perfect Valentine’s Day gift. If your mind is still on Christmas gifts, click through the 12 Days of Christmas Project Roundup. 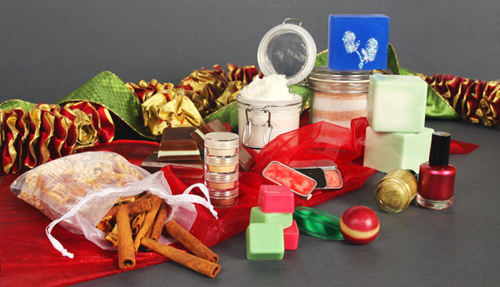 The roundup features fun and festive projects like Scented Beeswax Ornaments and Holiday Glam Nail Polish. Because all the projects are easy and quick to make, they’re perfect for last-minute holiday gifts. 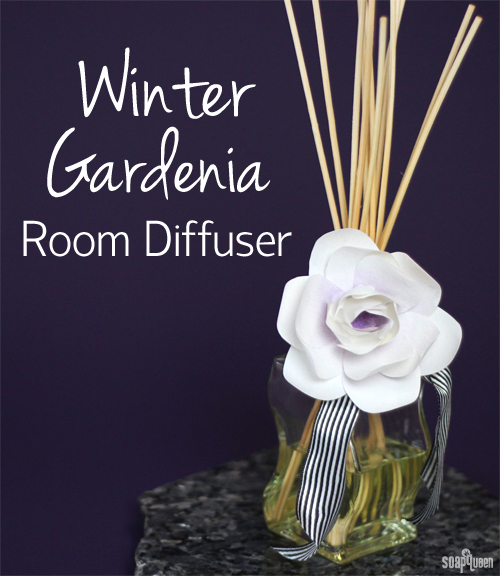 Another easy-to-make recipe is the Winter Gardenia Room Diffuser. With only three ingredients and a paper gardenia designed by Lia Griffith, the room diffuser is quick to throw together and looks great in any room. The Winter Gardenia Fragrance Oil adds a crisp floral note with hints of peppermint to your space. 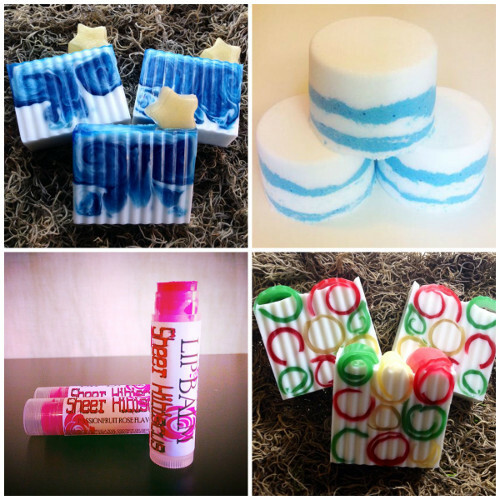 If you want more cuteness, you’ll love this week’s Facebook Photo of the Week by Natasha with Raven’s Creek Soap Co. 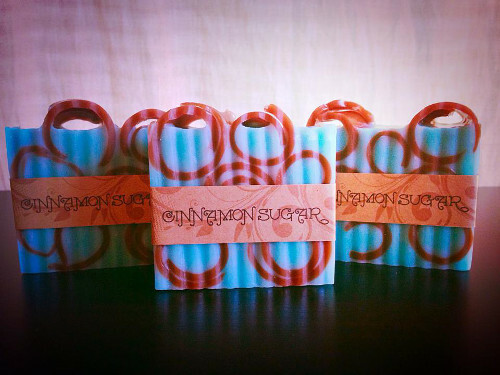 Her adorable curly soap is scented with Cinnamon Sugar Fragrance Oil, which adds some spicy sweetness to your bath and beauty products. The gorgeous teal base soap is accented with red soapy curls for a totally fun look. If you want to make some cute curls, check out this Soap Queen TV Video on How to Make Embedded Melt and Pour Jelly Roll Soap. Soapy curls also add cute detail to this Coconut Cream Pie Cold Process Soap. Above (clockwise, top left) are Natasha’s Vanilla Sugar Soap, Jumbo Moisturizing Ice Queen Bath Bombs, Sheer Hibiscus Tinted Lip Balm and Christmastide soap. For more fun layered bath bombs, click through the Tiger Stripe Bath Bombs Tutorial. Layers are also the star in the French Macaron Inspired Bath Bomb Tutorial. Find Raven’s Creek Soap Co.